Small satellite developed by TsSKB-Progress and the Samara Aerospace University; carried a magnetometer, acclerometers and a micrometeor experiment. Technology satellite built by Samara Aerospace University, TsSKB-Progress for Samara Aerospace University, Russia. Launched 2013. Status: Operational 2013. First Launch: 2013-04-19. Last Launch: 2013-12-28. Number: 2 . Gross mass: 53 kg (116 lb). Apogee: 626 km (388 mi). 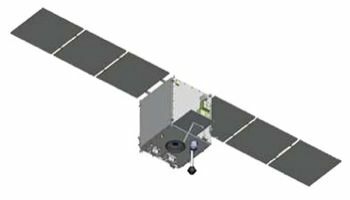 Aist 2D Technology satellite built by Samara Aerospace University, TsSKB-Progress for Samara Aerospace University, Russia. Launched 2016. Family: Surveillance. Country: Russia. Launch Vehicles: R-7, Soyuz-2-1A, Soyuz-2-1V. Launch Sites: Baikonur LC31, Plesetsk LC43/4. Bibliography: 6331, 12034. 2013 April 19 - . 10:00 GMT - . Launch Site: Baikonur. Launch Complex: Baikonur LC31. Launch Pad: LC31/6. LV Family: R-7. Launch Vehicle: Soyuz-2-1A. Aist 2 - . Mass: 39 kg (85 lb). Nation: Russia. Spacecraft: Aist. USAF Sat Cat: 39133 . COSPAR: 2013-015D. Apogee: 575 km (357 mi). Perigee: 564 km (350 mi). Inclination: 64.88 deg. Period: 96.05 min. Small satellite released from the side of Bion-M's service module, developed by TsSKB-Progress and the Samara Aerospace University; carried a magnetometer, acclerometers and a micrometeor experiment..
2013 December 28 - . 12:30 GMT - . Launch Site: Plesetsk. Launch Complex: Plesetsk LC43/4. LV Family: R-7. Launch Vehicle: Soyuz-2-1V. Aist 1 - . Mass: 53 kg (116 lb). Nation: Russia. Class: Surveillance. Type: Radar calibration target. Spacecraft: Aist. USAF Sat Cat: 39492 . COSPAR: 2013-078C. Apogee: 626 km (388 mi). Perigee: 595 km (369 mi). Inclination: 82.42 deg. Period: 96.91 min. 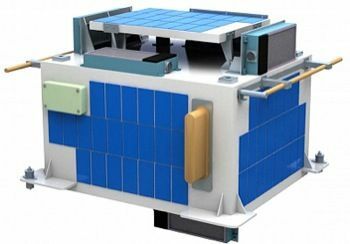 Small satellite developed by TsSKB-Progress and the Samara Aerospace University; carried a magnetometer, acclerometers and a micrometeor experiment..